Japan has a long and complex history and Nara is a place truly imbued with historical significance. Many sites in Nara have been designated UNESCO World Heritage Sites, meaning they are regarded as being important to the collective interests of humanity. These eight sites are historic monuments of ancient Nara and well worth a visit for anyone fascinated with history. 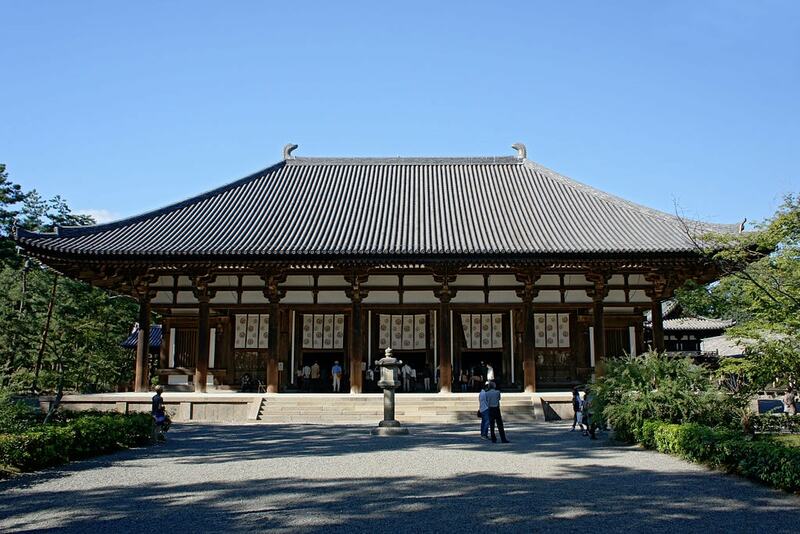 Built in 752, Todai-ji served as the focal point of all Buddhist practice in Japan. 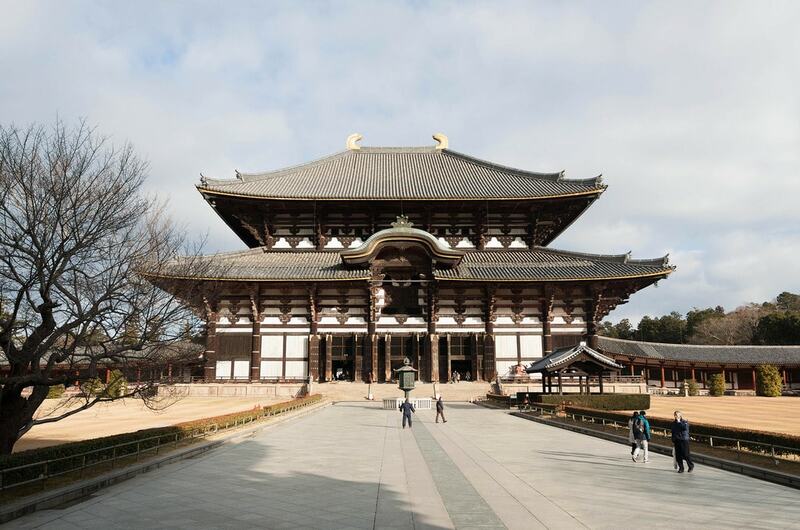 The temple grew to be so powerful and influential that it cost Nara its place as the capital city. To lessen the temples sway on governmental procedures, the nexus of bureaucracy was moved to Kyoto in 784. In the days before instant communication, a little distance went a long way. The temple is no stranger to tragedy. It has burned down twice, once in 1180 and again in 1567. Its current form is only two thirds its original size. Only a few buildings remain of this once enormous temple complex. Kofuku-ji once had over 150 buildings, but over time its power waned and like a lot of temples and shrines in Japan, it has become a shadow of its former self. This temple was built to coincide with the rise of Japan’s newest capital Nara in 710 when the Fujiwara clan was at the height of their power. As it stands today, Kofuku-ji is most famous for its five story pagoda, the second tallest in Japan. 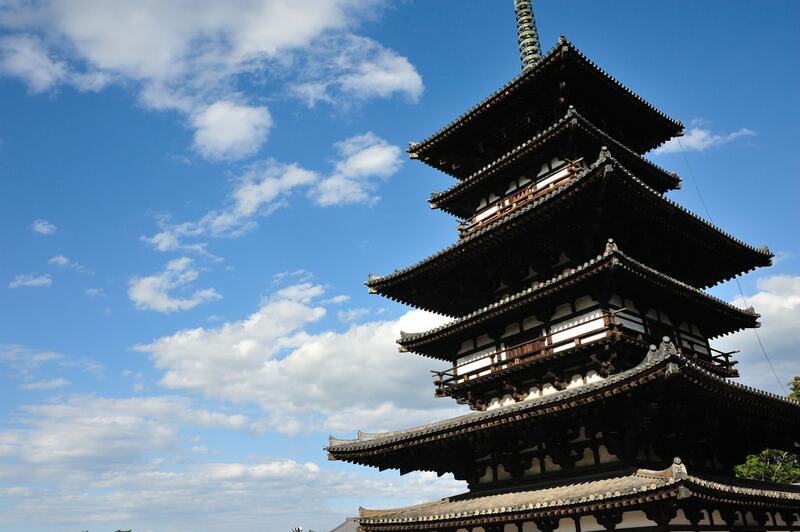 Rebuilt in 1426, the pagoda stands tall as one of Nara’s most recognizable symbols. This forest hasn’t seen the blade of an axe or the arrow of a huntsman since it came under the protection of the Japanese government in 841. In 1956, the forest was designated as a special national monument. In 1993 the forest came to be given worldwide significance as one of only three very special areas of cultural and scientific importance in Japan by UNESCO. Finally in 1998 it was given the additional title of World Heritage Site, also by UNESCO. This forest is home to hundreds of species of plants and animals. If you are lucky, you might even get a glimpse of the Japanese giant flying squirrel (musasabi) enjoying the untouched wilderness. Shrines are distinctive, and the newer they are, the brighter shade of vermilion. 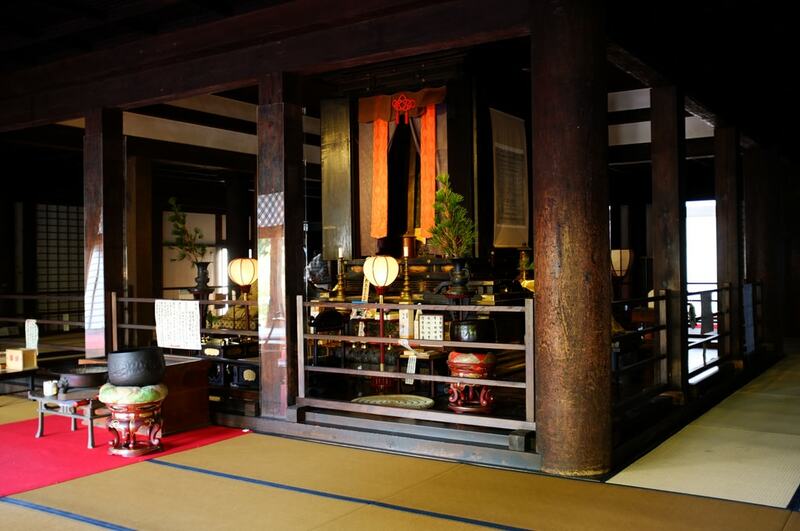 These days you might see a few shrines faded beyond recognition, but before the custom was discontinued, these homes of the gods were revitalized every 20 years. As one of the preeminent shrines in Japan, Kasuga-taisha was no exception. For over 1,200 years the shrine has been rebuilt and updated numerous times. In recent times though, the sprucing up is more sporadic. The shrine was rebuilt in 1955 after being partially destroyed in WWII, but not revitalized again until 2015. 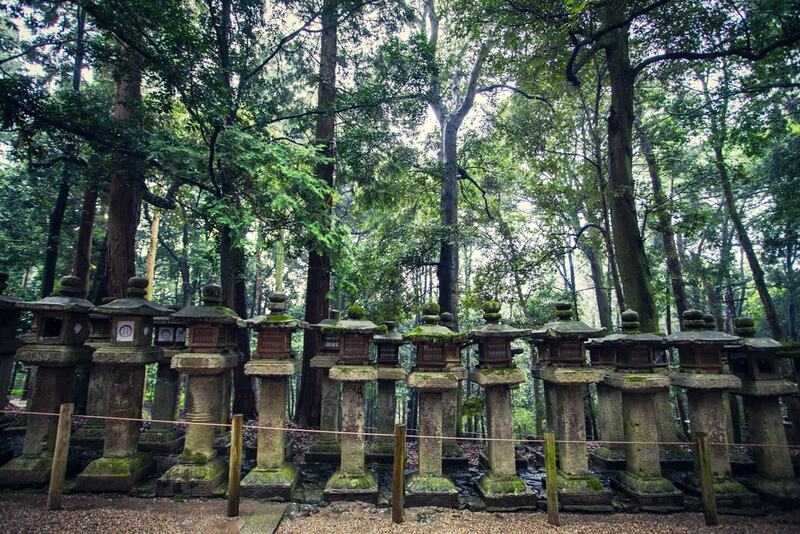 If you want to see a shrine the way it looked over 1,000 years ago, Kasuga-taisha is in its prime. 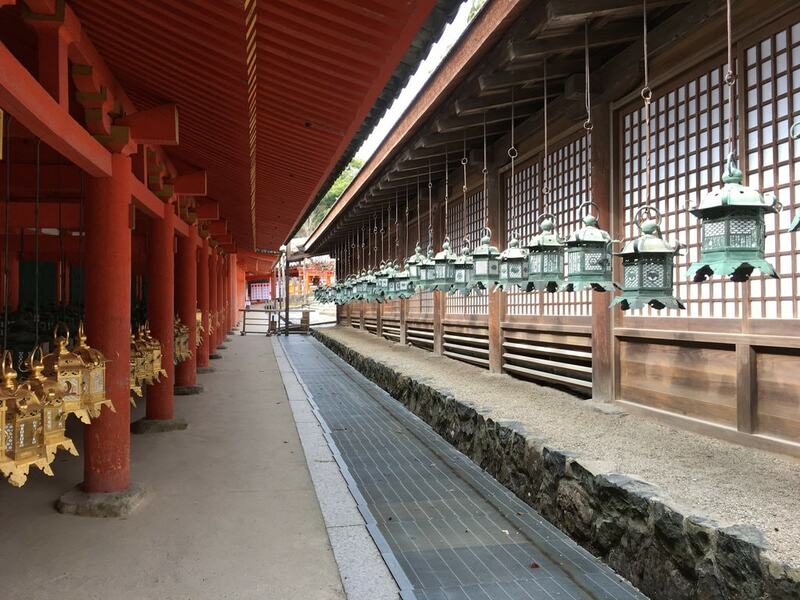 Nara might have been the city in which the Buddhist faith found its surest grip on the fabric of Japanese society, but Buddhism had been present in Japan long before it flourished. Gango-ji is said to be the first Buddhist temple constructed in Japan all the way back in 588. 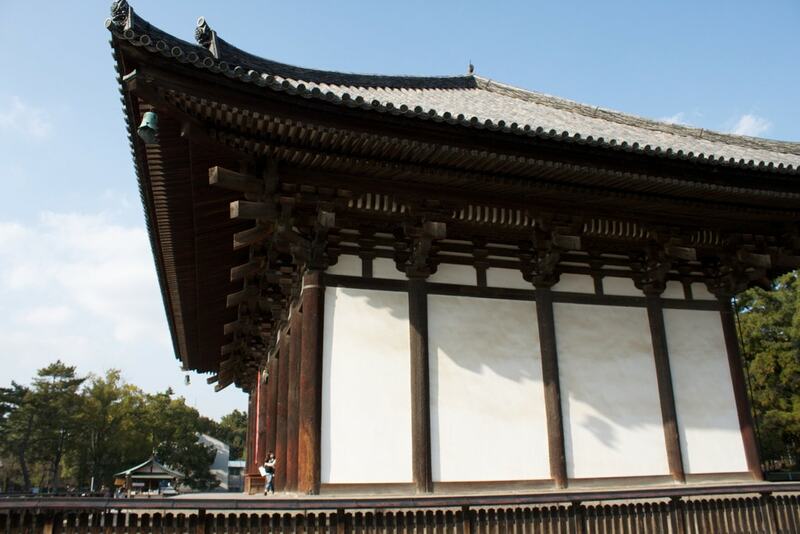 It took the temple 130 years to make its way to Nara, but in 718 the temple was moved from its original location, tile by tile, to reside in the newly founded capital. The temple has survived wars, fires, and natural disasters and as a result is much diminished from its former glory. Much of the temple grounds have been built over and absorbed by the surrounding Naramachi area, but what has survived is of great historical significance to Nara, and all of Japan. Like the other temples and shrines on this list, Yakushi-ji has seen its share of disaster and destruction. One of the most destructive times in Japan was during the Sengoku Period from about 1467 to 1603. This was a time during which Japan was constantly infested with civil disruptions and wars. During this time Yakushi-ji saw extensive damage and a reminder of that age of violence can still be seen on the temple grounds today. A masterpiece of Japanese Buddhist art, the Yakushi Trinity, was caught in a fire that destroyed the temple. The statue still stands, but today has a rich black sheen in place of the gilt gold exterior it once possessed. This temple, founded in 759 by the Chinese monk Jianzhen, is considered to be the perfect model of the “classical style” architecture of the period. When the temple was constructed, it was right in the middle of Nara city. Over the years, the city has shifted, leaving the building to hug its outskirts. This temple definitely shouldn’t be overlooked though. It took the monk Jianzhen 12 years, five attempts, and the loss of his eyesight to make it to Japan from China. 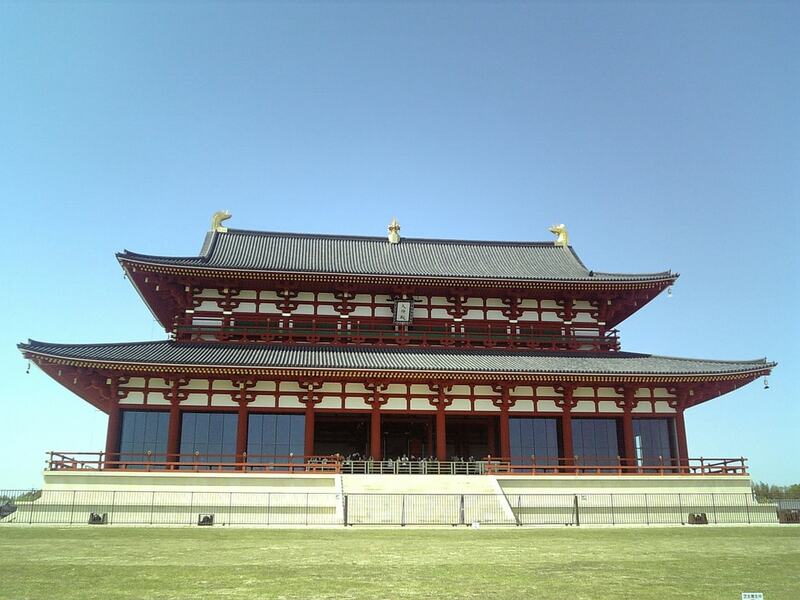 His hardships and dedication paid off in the building of one of Japan’s most beautiful temples. If you want to catch a glimpse of the man who cemented Buddhism in Japan, a famous wooden statue of his is displayed for a short period once a year around June 6th. Or more accurately the site of the former Heijo Palace. The original was no doubt splendid and fit for a king (or an emperor in this case) but after Nara fell from its top spot as the capital of Japan, there wasn’t much use for a palace anymore. Through a series of events and, you guessed it, fires, the palace was reduced to its foundations. The location of the palace was never lost, but it took until the 1970s for an effort to revive the palace to begin. From historical records and inferences made from the foundation, major portions of the palace have been reconstructed. While it is by no means a fully completed palace, major portions such as the Suzaku Gate and the Great Hall of State are on proud display.